Dr. Alexis Morales was born in Bogota, Colombia, he earned his Dental degree in 1997 at the Javeriana University School of Dentistry, one of the most prestigious schools in Latin America. Dr. Morales completed a one year General Practice Residency in 1998, then he associated to open two interdisciplinary clinical practices with physicians and microbiologists aboard. 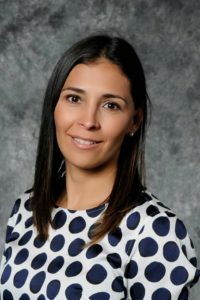 Dr. Morales moved to South Florida to attend Nova Southeastern University. After receiving his Doctorate of Dental Surgery degree, he decided to specialize in a 3 year full time residency program in Prosthodontics and Master of Science in Dentistry. During his residency, Dr. Morales had the honor of presenting three table clinic presentations, the first at the American College of Prosthodontics 41st Annual Session in Arizona, the second at the American College of Prosthodontics 42ndannual Session in Maryland and the third at the American academy of Fixed Prosthodontics. Dr. Morales was also elected for a clinical presentation at the 2012 Annual Florida Prosthodontics Association in Clearwater, Florida. Dr. Morales had the privilege to complete the immediate loading of implants with the “teeth in a day” protocol at the Institute for Facial Esthetics directed by Drs. Balshi and Wolfinger. In early 2012 he was elected by the Scientific Committee for poster presentation at the Astra Tech World Congress in Gothenburg, Sweden, the birthplace of Implant Dentistry. Dr. Morales strives to provide excellence to his patients with evidence based dentistry offering functionality, longevity and esthetics. Dr. Morales is a member of the American College of Prosthodontics, Florida Prosthodontic Association. He also provides adjunct facial esthetics with Botox and Injectables for the Dental Patient. In his spare time he spending time with his 2 teenagers enjoys autocross, running and scuba diving. Dr Witonsky is a meticulous and caring periodontal specialist with a passion for delivering the highest quality treatment for his patients. He completed his undergraduate training at Emory University where he obtained a Bachelor of Arts in Economics in 2001. Dr Witonsky’s periodontal interest began at Harvard’s Forsyth Institute when he was a coordinator on a five-year research study comparing traditional surgical periodontal treatment and non-surgical antibiotic therapy. Dr Witonsky’s dental career began at the Ivy League University of Pennsylvania where he received his DMD in 2006. 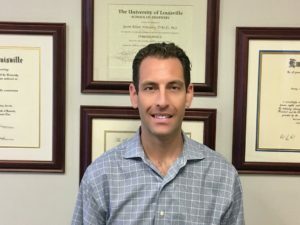 After a three year residency at the University of Louisville, Dr Witonsky received a certificate in Periodontics, as well as a Masters of Science in Oral Biology. To help his patients cope with nervousness of going to a dentist, Dr Witonsky trained in both IV sedation and oral sedation. Dr Witonsky has achieved recognition as a Board Certified Diplomate of the American Board of Periodontology, Dr Witonsky has worked, several complex cases with Dr Morales for an excellent interdisciplinary approach. Dr Witonsky is an active member of the American Dental Association, Florida Dental Association, Atlantic Coast District Dental Association, Broward County Dental Association, American Academy of Periodontology, Florida Association of Periodontists, Alpha Omega Dental Fraternity and Academy of Osseointegration. Dr Sandra Ogando was born in Bogota, Colombia, she earned her Dental degree in 1997 at the Javeriana University School of Dentistry, graduate as an endodontist at Saint Thomas University in the year 2000 in Bogota, Colombia; got her DMD degree at Nova Southeastern University and currently developing her residency in endodontics at Nova Southeastern University. Since 1999 Dr Ogando owned a private practice exclusive in the treatment of root canals and endodontic surgeries, management and treatment of dental trauma and internal tooth whitening. Dr Ogando has been inclined to teach what she learns and exceeds in perfection and attention to detail, which made her be faculty at the Pre-doctoral level and responsible for 3rd, 4th and 5th year students in clinical endodontics and lectures, also at Post graduate faculty, Teaching staff in the areas of clinical education and diagnostic lectures. Dr Ogando has been involved with Nova Southeastern University at the Pre-doctoral Clinic of Endodontics, Taught clinical endodontic diagnosis and treatment; provided consults and helped in the emergency clinic with cases related to Endodontics, Root canal treatment of first and second molars, retreatments and more complicated endodontic cases using critical thinking to provide better treatment. Our team at Florida Dental Rejuvenation is composed of a highly trained group of knowledgeable and friendly dental professionals. They routinely participate in continuing education endeavors to remain at the forefront of the dental field. Your comfort and safety remain their top priorities as they manage our welcoming office environment, help you complete paperwork, and facilitate communication with insurance companies. Our team of experienced hygienists, assistants, and office coordinators strives to care for you and your family members as one of our own. 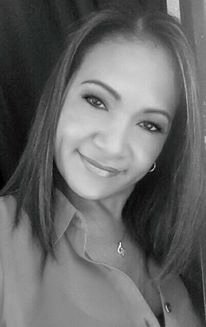 Cathy Maldonado is an integral part of Florida Dental Rejuvenation and serves as our executive dental manager. Originally from New York, she has been in the dental field since 1996, with x-ray license and expanded functions certifications, as well as front desk duties, insurance claims and treatment plan presentations. On the management aspect Cathy has been officially trained and has carecredit certification, she is also a current member of the AADOM (American association of dental office management), Cathy participated at the 12th annual dental management conference in 2016. Cathy has a vast experience assisting, general dentistry as well as a dental specialist. Her goal is to aspire to make every patient feel at home when they walk through the door. The ability to help and interact with patients, getting positive feedback and fantastic results gives her pride in her work. She will go beyond for your care and also if you have any questions regarding your treatment. In her spare time Cathy likes to spend it outdoors with her two daughters and travel. She welcomes the opportunity to meet you and provide you with a wonderful and caring experience. 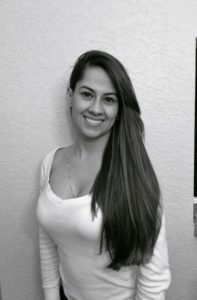 Alejandra was born and raised in Colombia, were she completed dental assisting school. She is a caring and motivated person with a constant pursue to improve her skills, because of her passion with the dental field, Alejandra choose to improve her knowledge and currently she is studying to obtain her Dental Hygiene degree and License. Alejandra will welcome you with a smile at any time and she always makes sure you feel at ease and comfortable during treatment, in her spare time she enjoys socializing and spend time with her family. To speak with a member of our team or to schedule a consultation with Dr. Alexis Morales, please contact our office today.